Discussion in 'Japanese Abroad' started by Gamba 2005 Pt 2 redded, Jan 1, 2006. Thought i'd post all the info i've collected over the past few days about the lesser known Japanese playing abroad, in Eastern Europe, South America, North America, Australia, Germany and Camaroon "cough" . I know it's alot but if any of you are keen researchers, i'm sure you'll apreciate this. He is half Japanese and half Brazilian. He is very highly rated in Brazil just now and could be moving to crezeiro. He can play for Japan! 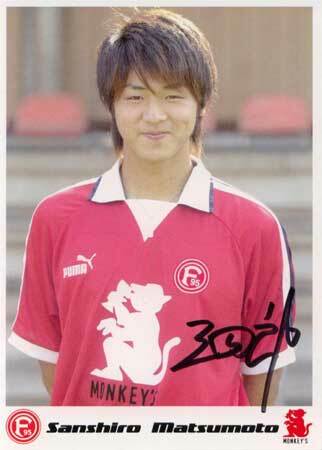 Matsumoto...I know him cause i live near Dusseldorf, but i never saw him play. Do you know if he still plays there? No, he left the club, but i dont know where he play now. Isn't there a Japanese playing in Hong Kong? I saw him played last season for the HK Select team. Not sure what his club team is or if he's still playing this season. Excape Goat, I think you probably know. I've looked through all the team lists and can't see any Japanese players, maybe he left? Here's an obscure one. John Minagawa-Webster. The only player currently playing in the United States MLS eligible to play for Japan. A-League. Essentially, the US "Second Division". Let's not forget US Youth player Kyle Nakazawa. Nakazawa is already part of the US system, but has only been capped at the youth level, so he is still eligible to play for Japan. He may be in the mix for the US Team for the 2010 World Cup. this guy has Japanese citizenship? Don't think Japan needs any more midfielders anyway. 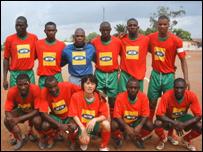 Well, niether of these players have Japanese citizenship, but both (Due to parents) are *eligible* to play for Japan. Kenji Fukada 28 year old striker who also plays midfield played for Irapuato in Mexico, also played for Pachuca or something along those lines. I hardly know about him.